We use a magnetic stirrer for 2 weeks in the dark, and then vacuum filter it through a 0.22um filter. 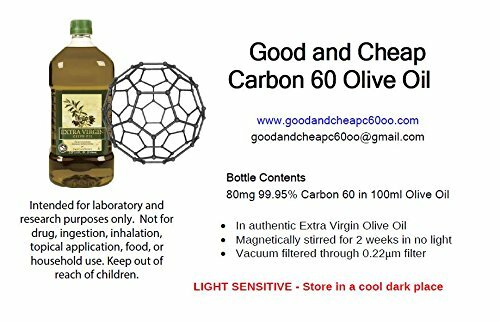 The entire process is done in the dark in sealed glass containers to protect the oil from any degradation, as it is light sensitive. 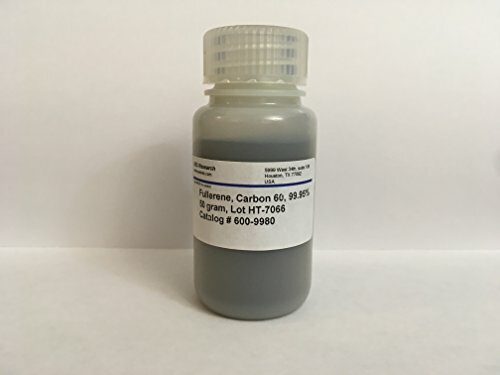 We use 99.95% Solvent Free Carbon 60 from SES, which is heated in a vacuum oven to remove any residual solvents. We offer international shipping on our website. 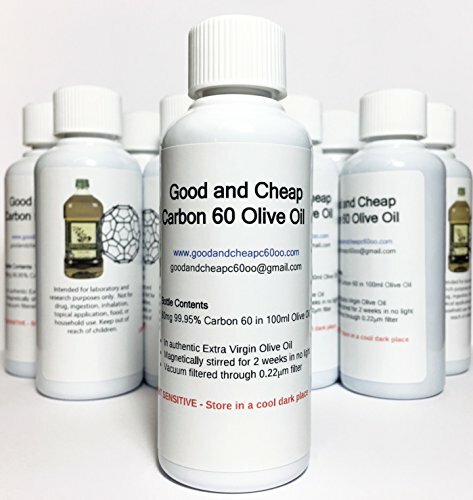 In response to the one star reviews: Our product does contain Carbon 60 in exactly the amount specified. 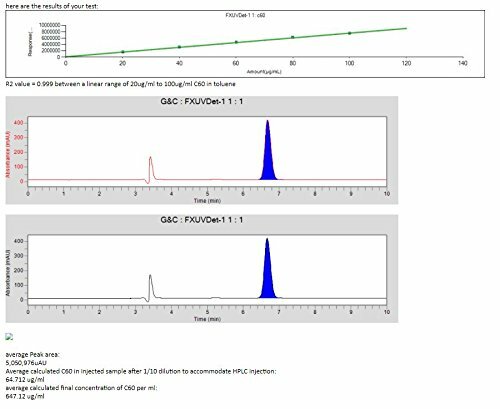 It has been formally analyzed by a third party testing lab on Longecity with a random sample and this was verified. 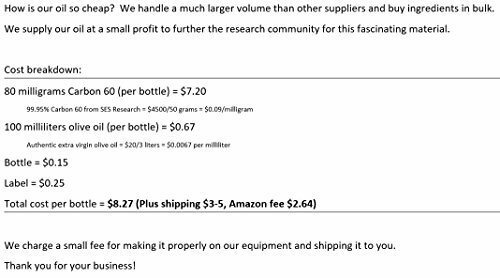 We do not make a large profit margin because we provide this product to the community in the interest of furthering research.